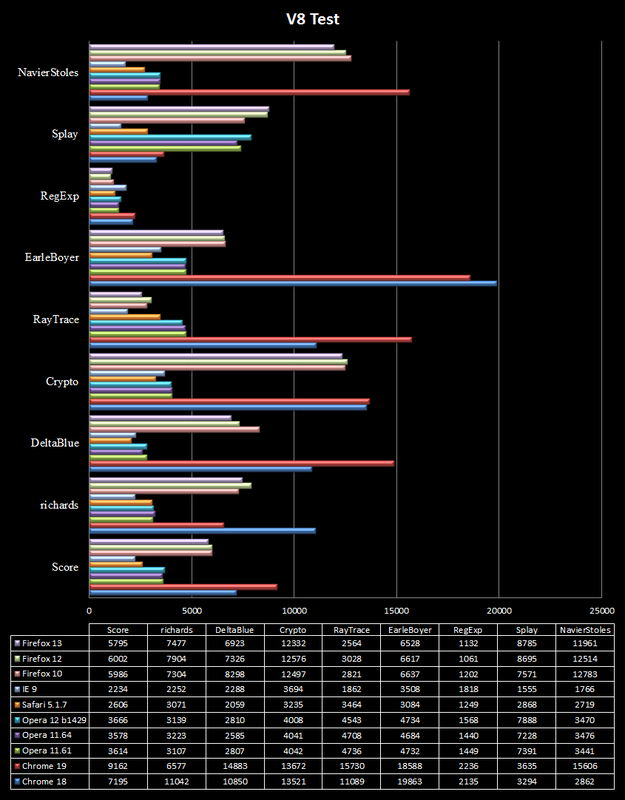 It’s that time, again, another browser benchmark showdown. This time we’re starting with Windows7, and doing Vista later. 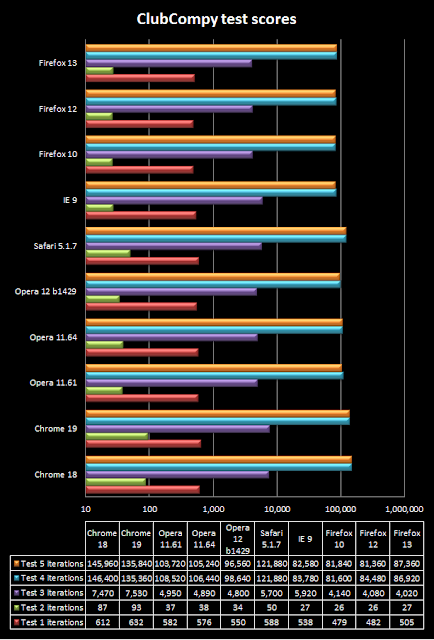 Over the last few months, things have moved on a bit, Chrome’s moved on from v16 to v19, Firefox has also moved on 3 versions to 13, Opera’s gone from 11.61 to 11.64 (and an open 12 beta) and Safari’s gone from 5.1.2 to 5.1.7. Only IE has stayed untouched. So has there been much improvement over these new versions, or is it a new coat of paint over the same old tat? Leading with Windows 7 for a change, we’re covering the following versions, both new and slightly older. 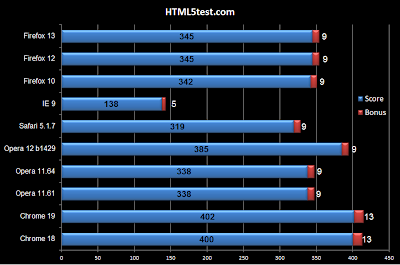 In total ten browsers were tested, 3 each of Firefox and Opera, two chrome and one each of Safari and Internet Explorer. The Windows 7 test rig is unchanged from previous pieces, and its specs are available here. 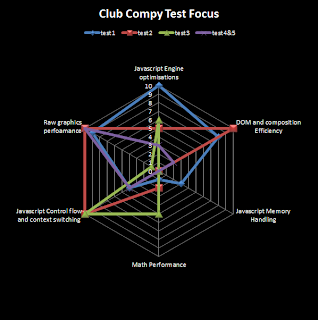 There are some more benchmarks added from previous instances, but the memory test is unchanged. 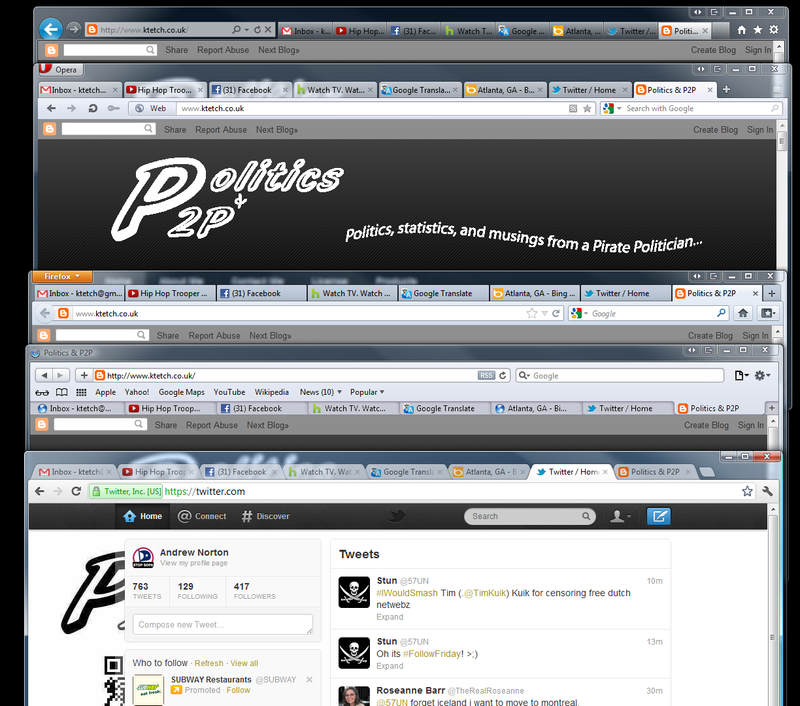 Peacekeeper – Futuremark’s test has been a staple of the Pol&P2P browser benchmarks since day 1. Kraken – A browser benchmark by the Mozilla team. Memory test – a real-world test of memory usage using 8 common realworld sites. The other three also keep a stable position, also fairly unchanged from last test. Again, each browser plays to its strengths, IE excels in rendering, Firefox in video playback and canvas applications, and Safari in DOM operations, yet all three are still worse than Opera or Chrome. The clear winner was Chrome, but a surprise second was Safari. Opera, IE and Firefox were not that far behind. The key test was test two, which did half-area fills, and test 3, which was based on Mandelbrot’s. Both focused on control flow and context switching. 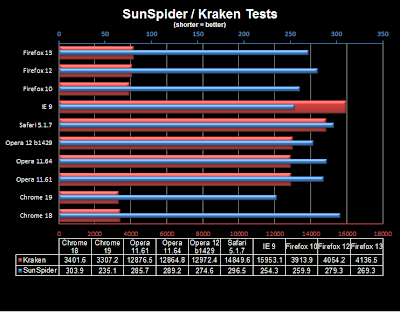 Two similar codebase tests, Sunspider and Kraken next. 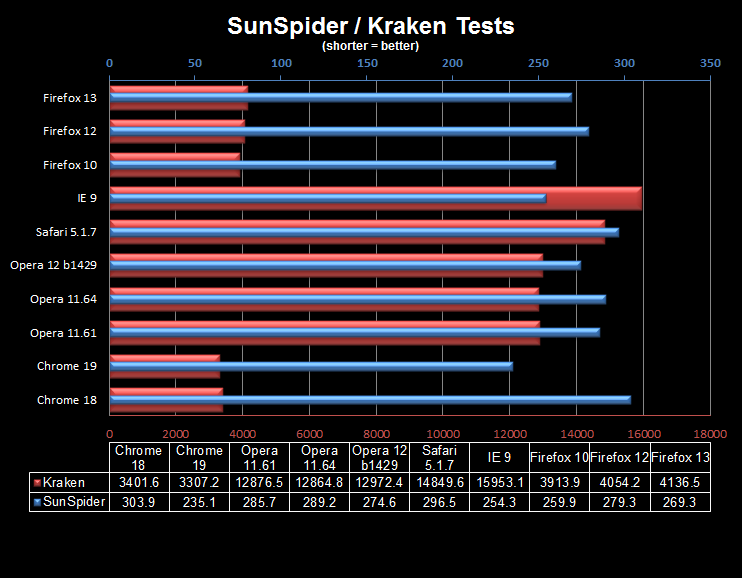 The first, Sunspider by the webkit (safari and chromium) developers, has traditionally been an IE win thanks to code optimisation. This time there’s been an upset as that’s been taken away in the latest upgrade of Chrome, who goes from last place to first. This now leaves Safari in last place (it was unusual that both webkit browsers were last in the webkit-designed tests). Firefox and Opera seem to be playing around in the same area as before. 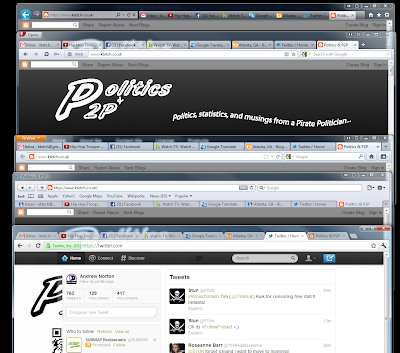 Mozilla’s Kraken test has Firefox doing pretty well, but it’s Chrome that steals the show here again. Opera is about three times slower than Firefox, and Internet Explorer is about four times slower, with Safari splitting the difference. 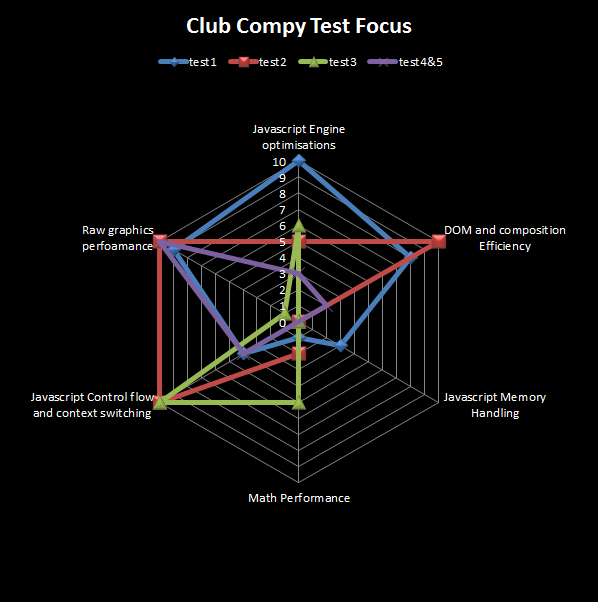 V8 is Google’s own benchmark test. It contains 8 tests at present, and Chrome leads the way on all but one. This includes a massive improvement on the NavierStokes test which involves double precision array manipulation. The only test where it fell short was Splay, dealing with automatic memory management subsystems, where both Firefox and Opera excelled. 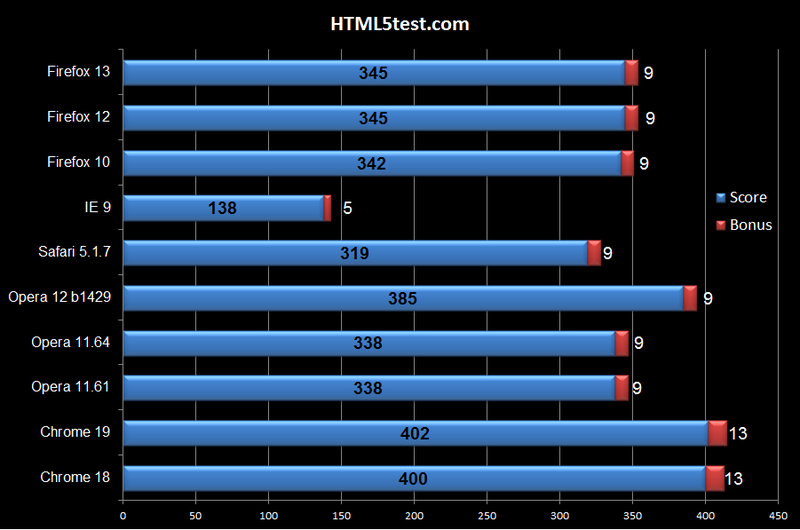 Firefox came a competent second in all the other tests. Safari and IE where pretty far down, often just trailing Opera, and they could do with picking their game up. 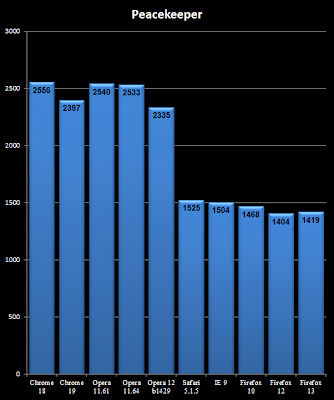 Minor gains in HTML compatability have been made by Chrome and Firefox, and a rather larger one by Safari since the last test. The OperaNext beta of Opera12 has a major jump, that will at least bring it within striking distance of Chrome, and regain some headway over Firefox. Again, Safari was by far the best for memory usage. 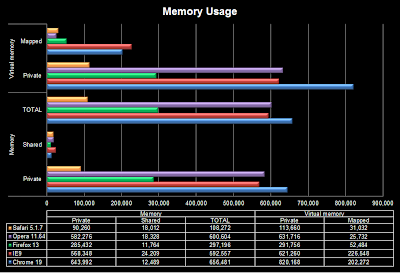 Firefox isn’t that far behind, although no long term testing was done to check for the constant claims of memory leaks. Opera and IE performed about the same, and Chrome, as always did the worst, presumably due to the sandboxing of processes.